To celebrate a stellar 2014, we worked with Cisco to produce their Year in Review video. 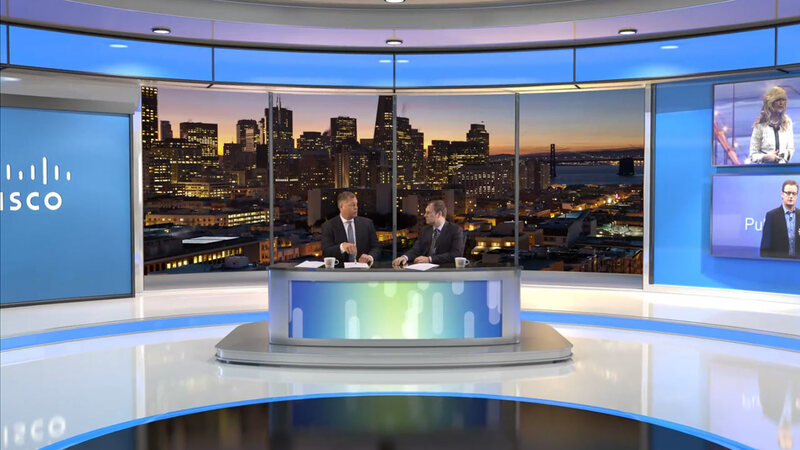 We created a virtual studio environment for their two anchors to deliver the recap. Powerful motion graphics and a custom soundtrack in combination with timely humor from Cisco’s anchors helped make this a great production.